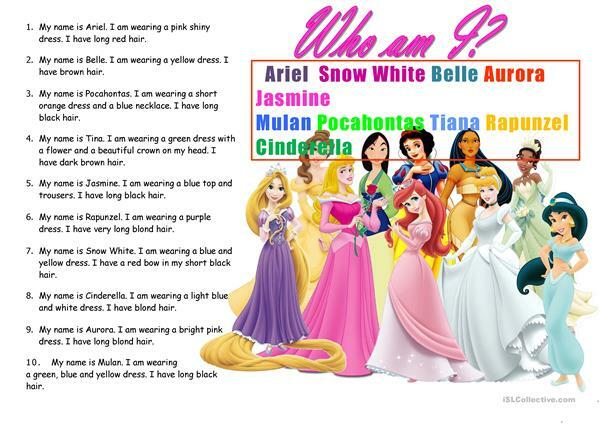 Find a Princesses with the help of descriptions of their dresses. It's horisontal when you download it. The present downloadable worksheet is meant for elementary school students and kindergartners and nursery school students at Beginner (pre-A1) and Elementary (A1) level. It is excellent for enhancing your learners' Reading skills. It focuses on the theme of Clothes, fashion.